Hanson Plywood offer a full and comprehensive guidance service to ensure that correct products are used for all applications. The information on panel products can be quite limited in many educational courses relating to architecture and design. This is why we are happy to provide assistance with specification for any end use. All of our sales staff specialise in wood based panel products and are Technicians in Wood Science as recognised by the Institute of Materials, Minerals and Mining (IOM3). In addition to this, the company is a member of TRADA and keeps abreast of all changes to standards and regulations that affect the specification of wood based panel products in structural design. You can find further information on product standards on our Knowledge Base page. We have launched a comprehensive advisory service website for architects, designers and specifiers in the specification and uses of plywood products in construction applications. Please click on the below link to view our Plywood Specifiers guide. Exterior in service, in building terms, covers a wide range of situations from full and severe exposure (sign boards, sea font fascias) to sheltered and protected (soffits under porches and balconies). There are also applications other than in buildings that impose similar stresses on plywood in service. Two different exterior situations where plywood has a long history of sucessful use can be recognised. Exterior but not protected- where direct wetting of surfaces and edges is unlikely once construction is completed. Applications such as this (sheathing, soffits, roof decking, etc.) 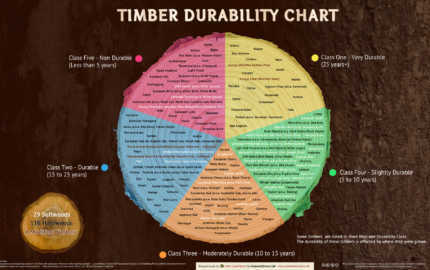 are designated as ‘Use Class 2’ according to BS EN 335:2013 (‘Durability of wood and wood-based products- Use Classes: definitions, application to solid wood and wood-based products’). In Eurocode 5 (EN 1995-1-1) and structural design terminology, these applications would be more closely aligned to the in-service, environmental conditions expected of Service Class 2. Applications such as these would require plywood that is suitable for Humid Conditions that meets EN 636-2. Full exposure to weather (charcterised by the possibility of high moisture content in service, driving rain and full exposure to sunlight). Examples include cladding, fascias, exterior doors and more. These situations fall under Use Class 3 under BS EN 335:2013, and in most cases would meet the environmental conditions of Service Class 3 under Eurocode 5. Plywood that meets the requirements of EN 636-3 for use in Exterior Conditions is appropriate for these uses. Rain (particularly wind-driven) and where drying-out is slow. Sunlight, particularly on south-facing aspects and dark coloured surfaces. Frost, insect attack and sever chemical pollution may sometimes also have an adverse effect on the service life of plywood. Rain, either wind-driven or running down the facade of a building, can be rapidly absorbed by unprotected end grain of timber. 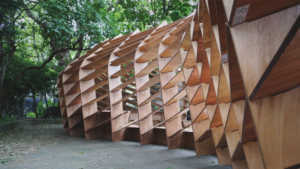 Plywood contains much end grain around the edges which must be protected if satisfactory performance is to be achieved. If the edges are not protected, water can enter and give rise to stresses which can eventually cause splitting of the wood and separation of the veneers around the edges even of ‘exterior’ bonded panels. In the shorter term, it often gives rise to unsightly staining behind a finish and can lead to mould growth, blistering of paint and ultimately decay. it is, therefore, imperative that the edges of all panels are protected if satisfactory performance can be achieved. Water usually penetrates much more rapidly than is lost. This is particularly the case if its entry is localised, such as through an area of improperly applied edge sealant. Under these conditions, water can be trapped for long periods behind fairly impermeable finishes, putting considerable demands on the durability or preservation treatment at the plywood and the adhesion of the finish. The most recent edition of EN 636 retains the designations -1, -2 and -3 from the previous three part standard to represent dry, humid or exterior conditions of use. 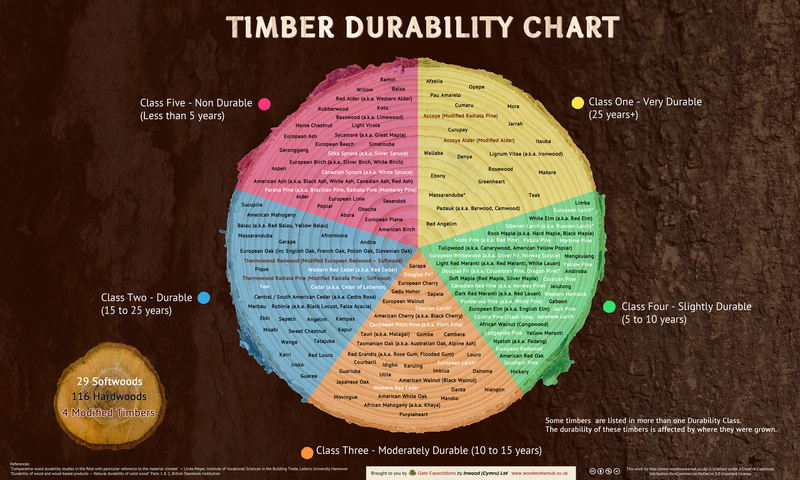 These conditions are defined according to the parameters laid down for Use Classes in BS EN 335 durability of wood and wood-based products. Use classes: definitions applicable to solid wood and wood-based products. Dry conditions: For interior applications with no risk of wetting, defined in Use Class 1, with a moisture content corresponding to environmental conditions of 20°C and 65% relative humidity. Humid Conditions: For use in protected exterior applications as defined in Use Class 2, with a moisture content corresponding to environmental conditions of 20°C and 85% relative humidity. EN 636 also introduces bending strength and modulus classes based on bending tests to EN 310. These give a designated strength (F) and modulus (E) parallel and perpendicular to the face grain. An example designation would therefore be F10/20. E30/40. EN 636 gives minimum values for each of the classes and EN 12369-2 gives corresponding characteristic values for use with each of these classes. Plywood for use in construction must demonstrate compliance with the Construction Products Regulation (CPR). The most straightforward route to achieving this is by demonstrating compliance with EN 13986, and therefore must carry a CE mark. Plywoods are produced with glue bonds which range from those suitable for interior uses only, to those which will withstand full exposure for long periods. Class 3 bonds are a requirement for plywood to comply with BS EN 636-3. The bonds are largely comparable with what were known as WBP- weather and boil-proof bonds (to BS 6566 Part 8, now withdrawn), expect that the requirement that effectively they be made with phenolic-type glues has now been dropped. To qualify, the bond must now meet the stipulated test requirements. Please click on the image to view the chart. In order to assist Architects and specifiers we have developed our h collection of panels which have very specific manufacturing and performance criteria. All these products carry the appropriate certification for industry, and can be confidently specified for a vast range of applications. Marine Plywood has traditionally been specified for construction applications in the belief that it is simply a high quality and high performance product. Hanson Plywood Ltd firmly consider this practice to be outdated and advise that all specifications should be satisfied with products that are fit for purpose taking into account, the application and the particular performance criteria required. h Performance Plywood® is manufactured to EN 636-3 making it suitable for use as structural components in exterior conditions. A superior high quality, high performance overlay grade plywood panel with very accurate dimensional tolerances. This product offers the ultimate dependability for exacting manufacturing processes. hSP101 Indonesian Plywood® is manufactured to meet EN 636-2 and is suitable for structural components in humid conditions (depending on thickness). It also meets the requirements for Annex A in BS 8203:2017- code of practice for resilient floor coverings. This standard gives flooring manufacturers and installers a clear reference of plywood that should be used for a successful and reliable flooring installation. Multi-ply, cross banded plywood made entirely from Birch veneer. Our collection of exterior glued Birch panels come in a wide variety of thickness, grades, sheet sizes and veneer grain directions. The collection is comprised of FSC® or PEFC™ Certified material and CARB Phase II compliant products are available on request. The product meets the requirements of EN 636-2 and has a glue bond that meets EN 314-2 Class 1. This is a collection of products that are light in weight, stable and easy to cut and machine. Available as a Poplar throughout panel (light in colour with a barely perceptible grain) or Ilomba faced (pink in hue with a poplar core). We also offer a Pure Glue alternative in both products which uses a NAF (No Added Formaldehyde) resin, offering impressive environmental credentials. h Panguaneta Lightweight Plywood meets EN 636-1 and is suitable for interior applications.